2. 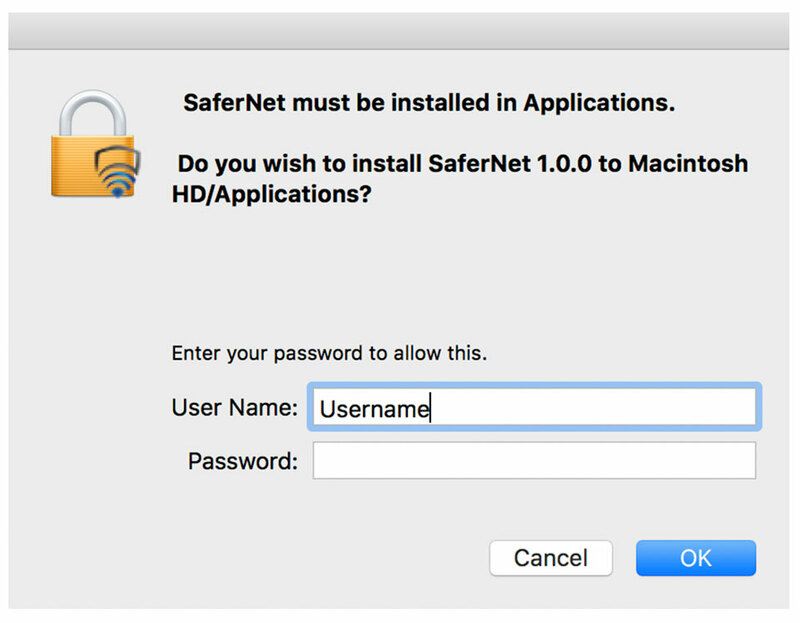 Upon double clicking on the “SaferNet” icon again, a popup dialog box is displayed, which states: ““SaferNet” is from an unidentified developer. 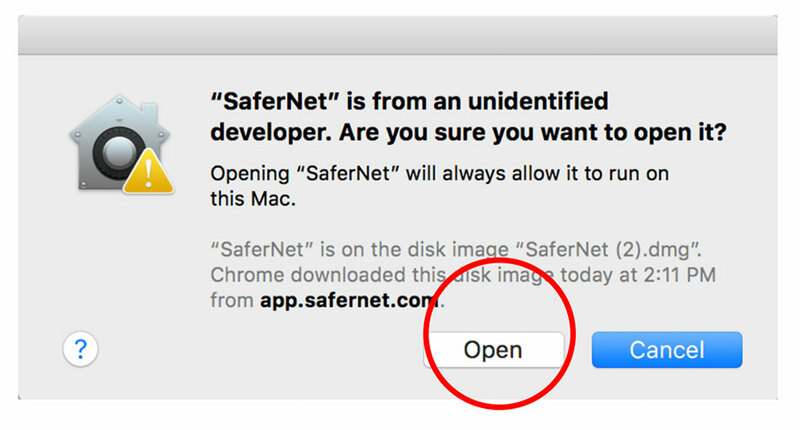 Are you sure you want to open it?” Click on the “Open” button to proceed. 3. Please enter your MacOS credentials, and click OK to start the installation process. 4. 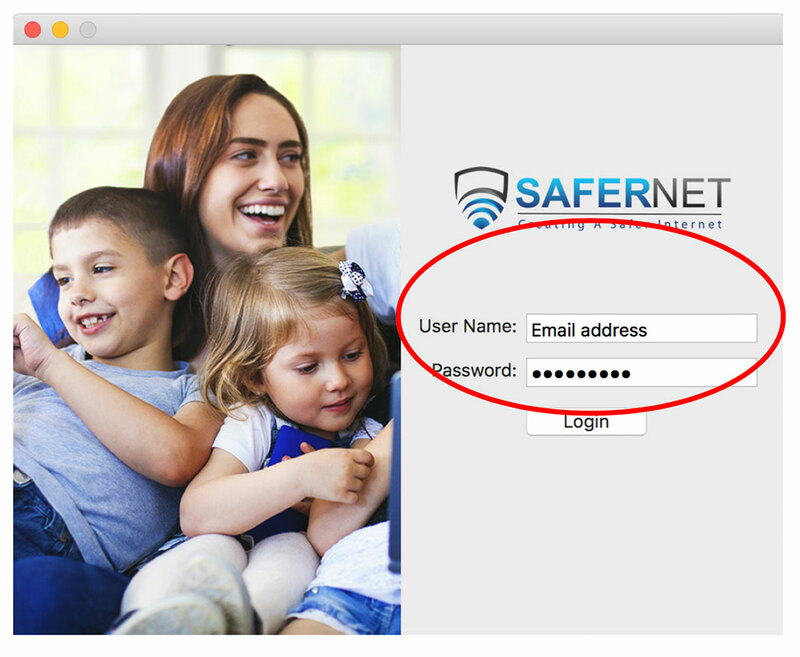 After Installation finishes, you will see the following screen where you have to enter your SaferNet credentials. 5. You will see the following icon at the top bar. From here, you can control “SaferNet”.